'And Now... The Runaways' Japanese Poster. Japanese poster promoting 'And Now... The Runaways" from 1978. 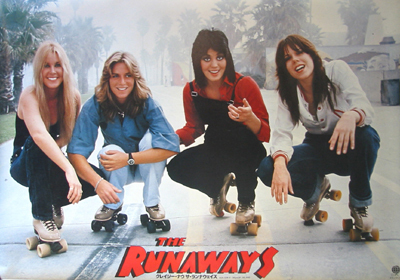 Wallpaper and background images in the the runaways club tagged: the runaways image lita ford sandy west joan jett laurie mcallister roller skates and now... the runaways poster 1978.